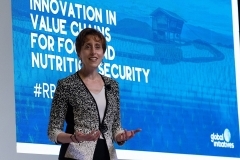 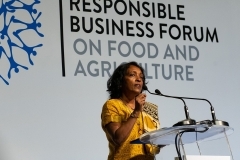 The Forum demonstrated the continued drive from both international and Thai organisations such as CP Group, Food Innopolis, Herbalife and FrieslandCampina to address food and nutrition security through innovation. Organisations like the Global Agribusiness Alliance, Grow Asia, US-Aid and Croplife Asia are presenting a number of their initiatives and projects over the two-day Forum, demonstrating their work in partnerships with private sector and government to help address the challenges faced across the various commodity value chains. 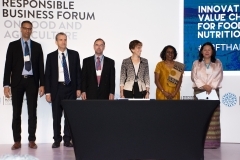 The Forum also saw the signing of the Sustainable Rice Landscapes MOU between its consortium members, the World Business Council For Sustainable Development (WBCSD), UN Environment, Food and Agriculture Organization, International Rice Research Institute and Deutsche Gesellschaft für Internationale Zusammenarbeit (GIZ). 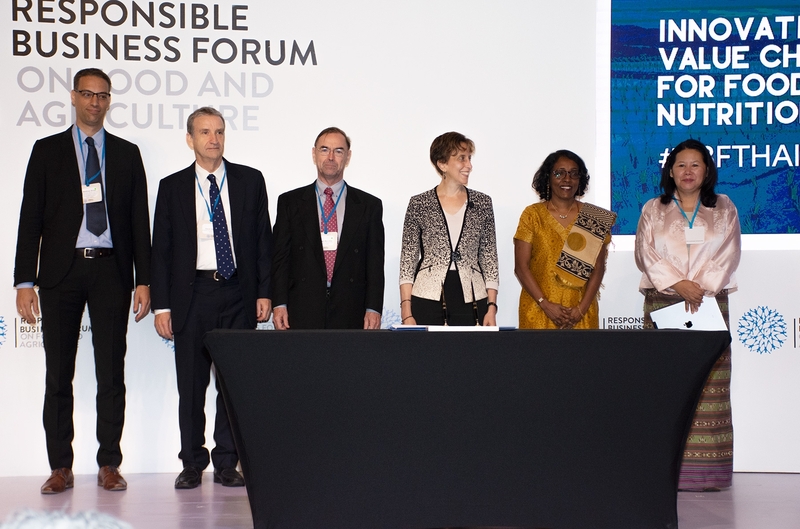 Wyn Ellis, Coordinator of the Sustainable Rice Platform shared “SRP and its 100 institutional partners are proud to be part of this Consortium, which aims to work with governments and the private sector to drive wide-scale adoption of climate-smart, sustainable rice production, using the world’s first Rice Sustainability Standard and Indicators”. 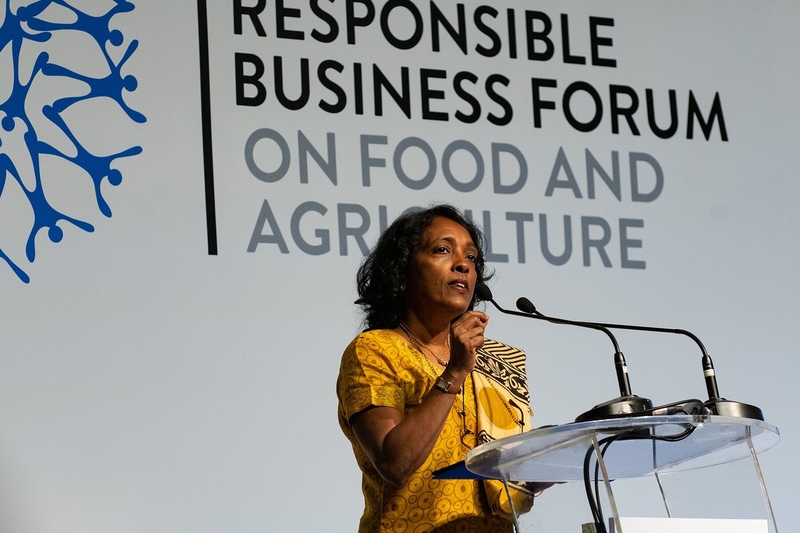 by working with governments and value chain actors at landscape and policy levels to drive adoption of proven climate-smart best practices and innovative technologies. 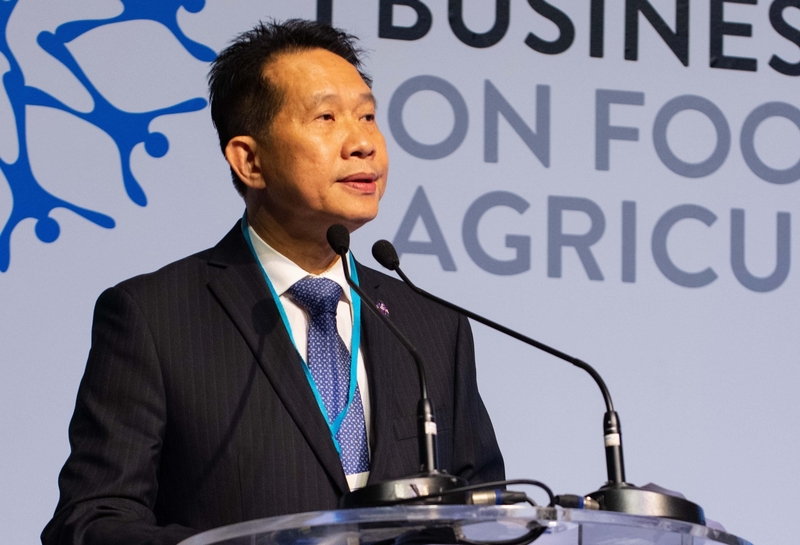 The RBF is being held in Thailand for the first time in recognition of the country’s successful food and agricultural industries and supports Thailand’s 2019 ASEAN Chairmanship. By bringing together global food leaders to drive innovation in value chains for food and nutrition security, the Forum is a great example of this year’s ASEAN theme of “Advancing Partnership for Sustainability”.